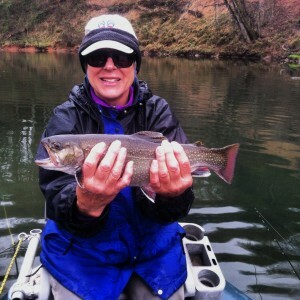 The Tuckasegee River | Hookers Fly Shop and Guide Service. Your Smokies Fly Fishing Experience. Fly Fishing on the Tuckasegee River at it’s finest! 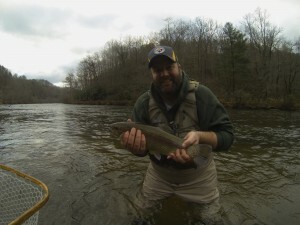 The Tuckasegee River is another amazing trout fishery. It was recently featured in American Angler Magazine. It begins life high in the mountains as many small tributaries that converge to form an East and West Fork, both which are dammed in their upper portions, finally converging to producing one very cold tailwater fishery that contains some of the most impressive fly fishing waters in the eastern half of the country. The Tuckasegee River boasts a nice long Delayed Harvest section that is very popular among fly fishers for its high fish counts, willing and very large trout. Rainbow, Brown and Brook trout are all part of the stocking program, and it’s not uncommon to catch a Rainbow or Brook over 20 inches. Beautiful Brown Trout on a Tuckasegee River Float Trip. This section makes the Tuckasegee River arguably the hottest river in the Southeast. 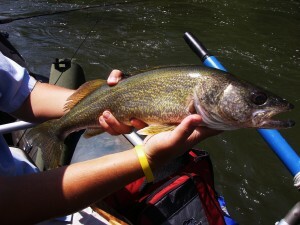 The “Tuck” as it is referred to, has probably as many trout per mile as any of the western rivers of Montana and Idaho. The Tuck is very user friendly, access is great along the Delayed Harvest section with the water remaining wadeable most of the time. 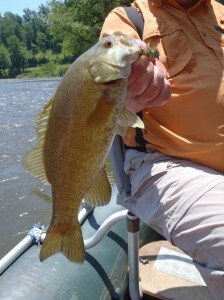 The Tuck is also a great river to fish from a drift boat. 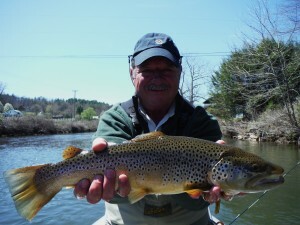 If you really want the ultimate experience in fly fishing this watershed, then a float trip is definitely the best bet. The Lower Tuck also contains trout and as the water starts to warm up further down river, you begin seeing a lot of nice Smallmouth Bass and Spotted Bass mixed in. According to a 2004 survey conducted by the TVA (Tennessee Valley Authority) on the fish quality in the region, the Tuck has the healthiest population of smallmouth in the entire TVA system of lakes and rivers! We do offer float trips below the delayed harvest section and the action is nothing short of impressive! There are not as many trout per mile as compared with the Delayed Harvest section, but with some bruiser smallmouth bass lurking behind every rock and log, you’re sure to have a great time. In this section of river you may also hook into largemouth bass, walleye, musky, perch, and red-eye bass. 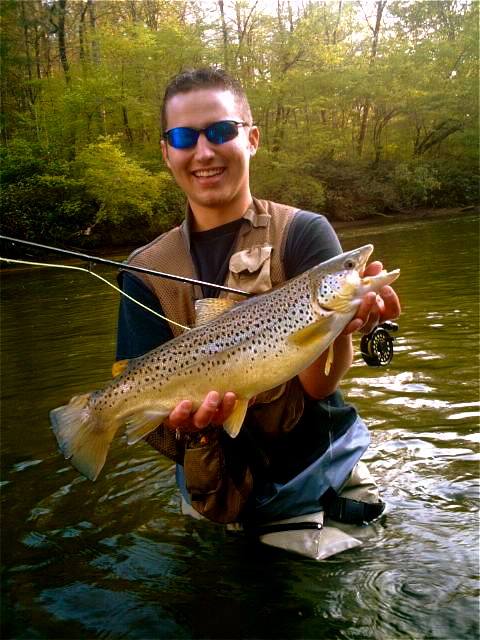 Big Tuckasegee Brown Trout. Come float the Tuck with Hookers Fly Shop. Our shop is just minutes away from the Tuckasegee Delayed Harvest. 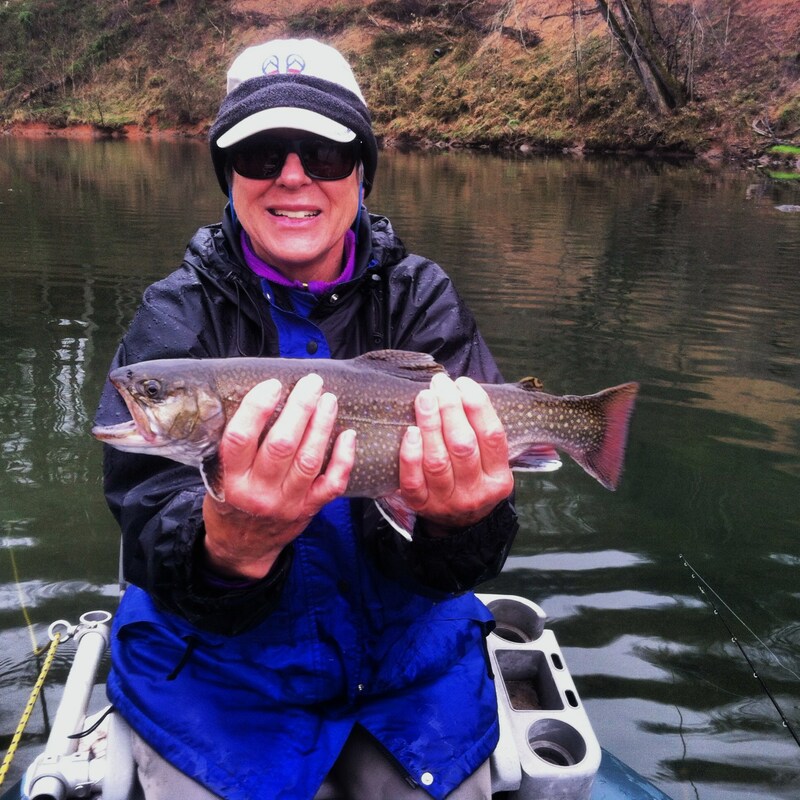 Hookers Fly Shop and Guide Service offers both wade and float trips on the Tuckasegee River. Between Oct. and early June we offer wade and float trips on the Tuckasegee Delayed Harvest Section. This section is stocked with close to 50,000 trout per year and provides our clients a fantastic chance to get the Tuckasegee Grand Slam, a rainbow, brown and brook trout in the same day. Let us show you what fly fishing Tuckasegee River, NC is all about. Click here to book. Floating the Tuckasegee Delayed Harvest. Here is a happy client with a very nice Northern Brook Trout. Clients can choose to wade sections of the delayed harvest or fish from one of our many oar rigs that can fish up to two anglers per boat. 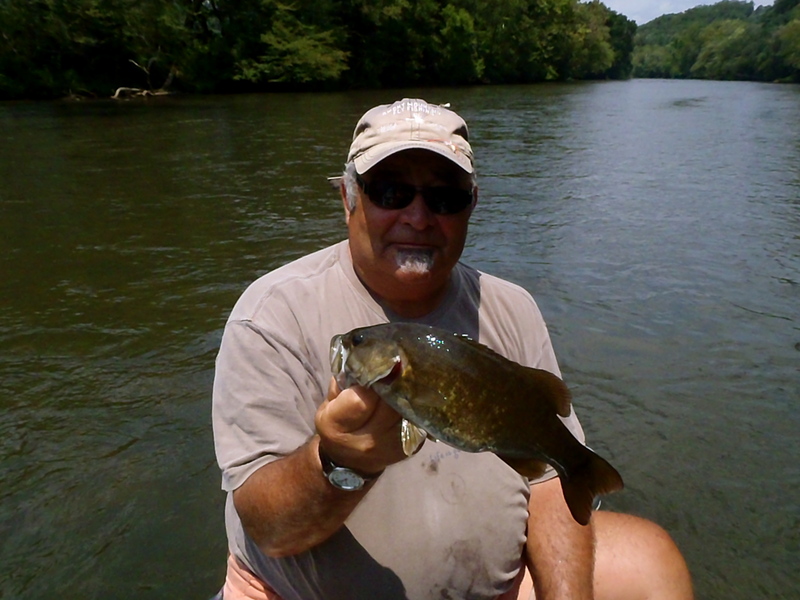 During the summer months our guides target the lower Tuckasegee River for smallmouth bass, spotted bass, trout and walleye. 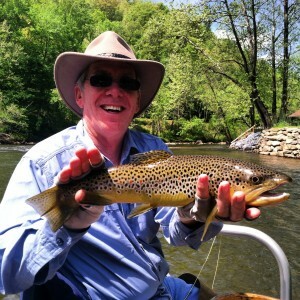 The Tuckasegee River offers something for everyone from first time fly fishers to the most experienced anglers. Click here to check the current generation schedule for the Tuckasegee River.